Does The Child Have Any Influence in Child Custody Decisions? A number of factors go into determining what child custody arrangement should be made when the parents of a child are no longer living together. While the input of the child and the child's desires may be one of the factors considered in certain instances, it will not be the deciding factor. The specific rules for child custody are set at the state level, so each state may have rules that are unique to that jurisdiction. However, when it comes to child custody, there is one overreaching principle applied to set all custody laws. That principle is that the court will decide all custody cases by looking at the best interests of the children. If one parent has provided the bulk of the care for the child over the course of the child's life. Each parent's ability and willingness to allow the child to maintain relationships with the other parent, the extended family, and the community as a whole. The ability of each respective parent to provide a good home life, including financial support, emotional support, and stability. To help determine the best interests of the child in a child custody case, the court may ask the child what he or she wants. 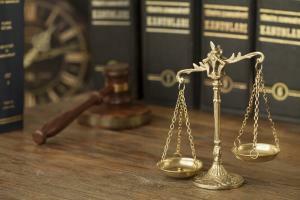 Typically, the older a child is, the more influence his opinion will have on the custody case. A good general rule of thumb is that kids over 12 will have the opportunity to share their opinion, although this is by no means the rule in every state. When the child does express his opinion, the court will consider his desires along with the other factors and weigh all the considerations to decide what is best. Any parent who is involved in a child custody dispute needs to have an advocate on his side. You should contact a lawyer as soon as you begin considering separating from your child's other parent, so you can have the best possible chance of getting a custody agreement that you will be happy with.